It’s no secret that fruits and vegetables are expensive, but we need them in our diets so they’re not really optional. How to save on fruits and vegetables is an age old problem. 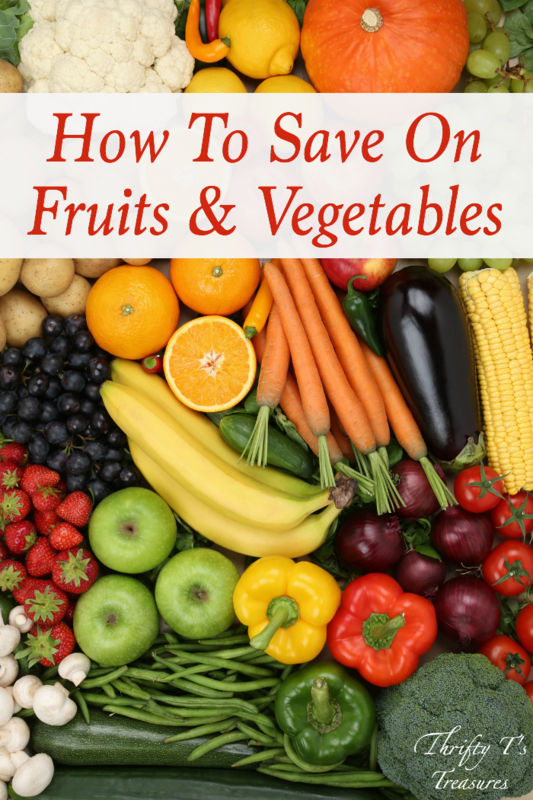 The solution that I’m sharing with you today isn’t the end all be all, but other than growing our own garden, it’s my favorite way to save on fruits and vegetables! That being said, if you’re not the type of person that would pick up change on the ground then this isn’t a solution for you. But, if you’ll take a few seconds to pick up nickels, dimes and quarters when you see them, then read on! 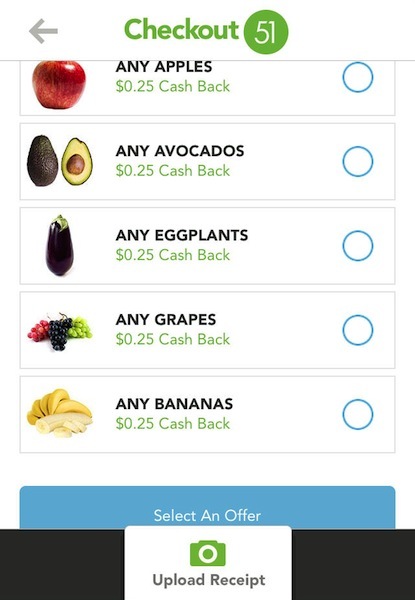 Checkout 51, ibotta and Snap by Group are smartphone apps that give you cash back on your purchases at the grocery store – my favorite way to use these apps is when buying fruits and vegetables. All of the apps are very similar, but Checkout 51 is the one I use the most so I’m going to walk you through using it. Once you’ve signed up for Checkout 51 you can add the app to your smartphone. 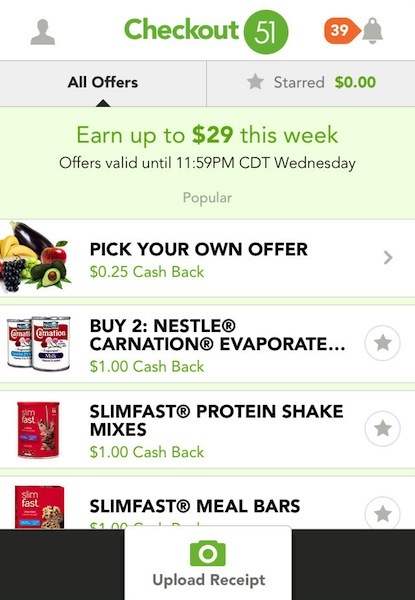 When you open the app you’ll see a list of the offers that are available for the week (they run Thursday through Wednesday). 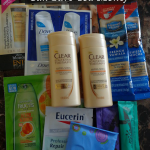 Scan the offers before you shop to save even more on the items you’re already buying! Once you’ve chosen the Pick Your Own Offer you’ll see a list of the different options available. Take a photo of your receipt (making sure you get the store name and date of purchase). If your receipt’s too long for one photo you’ll have the option to add another section. Once you’ve submitted your receipt you’re done. I told you it was as easy as picking up change off the ground! Both Checkout 51 and Snap by Groupon allow you to make your purchases at any store. Yes, you heard me right, any store! Having the freedom to make purchases at any store means that whether you’re already taking advantage of Aldi’s rock bottom produce deals, price-matching at Walmart, or supporting your favorite local grocery store, you can still save! 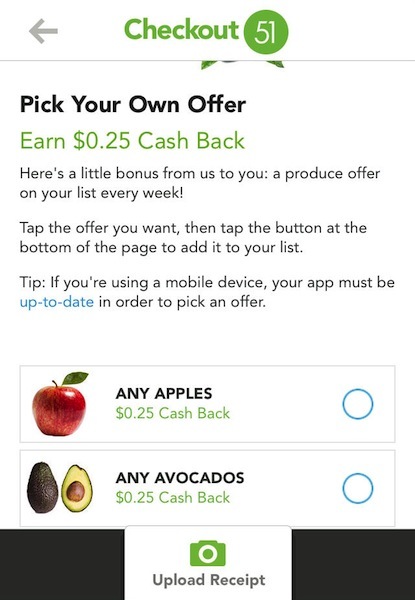 I generally load my receipts right after I put my groceries away so that I won’t forget to redeem my offers! Snap by Groupon gives you two days from the date of purchase to redeem your offer, and Checkout 51 gives you until the following Wednesday. So what are you waiting for? 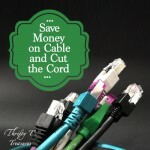 Head over and sign up for your savings at Checkout 51, Snap by Groupon and ibotta! Have you ever used these apps? Which one is your favorite?